All of my books are available through Amazon (including some print editions for people who need paper). 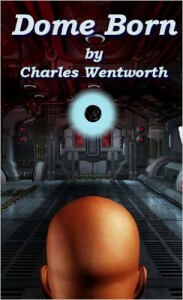 Some editions are available other places, such as Smashwords and BN online. Bad fortune seems to be following Addison Mosby like a hungry mongrel. Nearly broke, his small cargo ship the Penelope Jean is full of a cargo he can’t sell and is crippled, unable to leave for a different port of call. On top of that, he has to take shelter aboard Meander, the densely populated wandering planetoid that has caused all his troubles in the first place. But about the time he has given up and begun making plans to start over from scratch, his luck turns, and he finds himself suddenly wealthy and embroiled in the dangerous politics of Meander. The lumbering, deadly Phtharro dominate the universe of settled planets because they control the only spacecraft able to travel between the inhabited worlds. The Five Recognized Species and other lesser beings (including humans) must kowtow to the Phtharro if they want to communicate or conduct interplanetary trade. In this tricky business environment, Yardley Wheeler, a dealer in artifacts, has gotten his hands on a mysterious small artifact of interest to a wealthy collector. He risks slipping off Dome (without permission) to deliver it. To his alarm, he learns that the artifact is precious to the Phtharro and they have ordered him killed to get it back. With the help of Angus McKenzie, a courier, and Yar’s friends Max and Bea, Yar manages to return and hide out in the massive underground dome that gives his home planet its name. There the four of them learn the true nature of the artifact, a secret that will throw the known universe into upheaval. If they can survive long enough to share it. Handmade lovers, musical aliens, wandering trees — humans moving out among the stars encounter a million wonders. 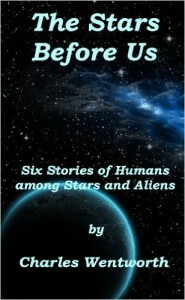 This anthology of new stories by a new author brings together six tales of contact between humans and aliens as the species moves out to the stars before us in the eons to come. But these are not the standard tales of war and planetary destruction. Rather these are stories about the every day, the unusual events that take place on ordinary workdays, made extraordinary by exotic beings living lives completely different from our own. Whether your choice in aliens is technically sophisticated chlorine breathers, or unexpectedly talented hunter gatherers, there is something within this collection to be savored. Ysabel Paxton is dying. And the professional Vessel who is slated to accept her memories, personality and emotions — her still-living soul — is running very late. Evan, Ysabel’s husband, in agony over his wife’s approaching death and his doubts about vessels, must fight both his own doubts and the opposition of others to see his wife’s final wishes fulfilled. Then things get really difficult. When Amara Maia finally does arrive and accepts Ysabel, trouble follows closely on her heels — strangers trying to kill her and the souls she contains, including the poor maddened soul she accepted just before Ysabel that delayed her. But that man’s memories are only hazy images of places and people that raise more questions than they answer. Evan Paxton must risk everything to protect Amara and the souls she carries within her, including his beloved Ysabel. But as time goes by and the danger grows, he finds himself defending this vessel for even more reasons. Reasons he may never be able to handle. 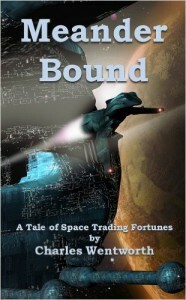 (This book was previously published under the title Into this Vessel Poured). With the end of Martian Colonies drawing closer, Captain Melissa Mahony is looking at the end of her career as a pilot on the regular trips to the third planet and must choose what to do next. 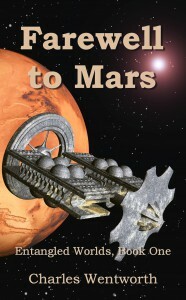 But her final tour on the Red Planet leads to a discovery that changes everything and takes that decision away from her.